20% of this year’s funds will go to the Lupus Foundation of America as this charitable organization is very close to Jimmie’s heart. Jimmie is the race director and was diagnosed with Lupus Nephritis at the age of 22. 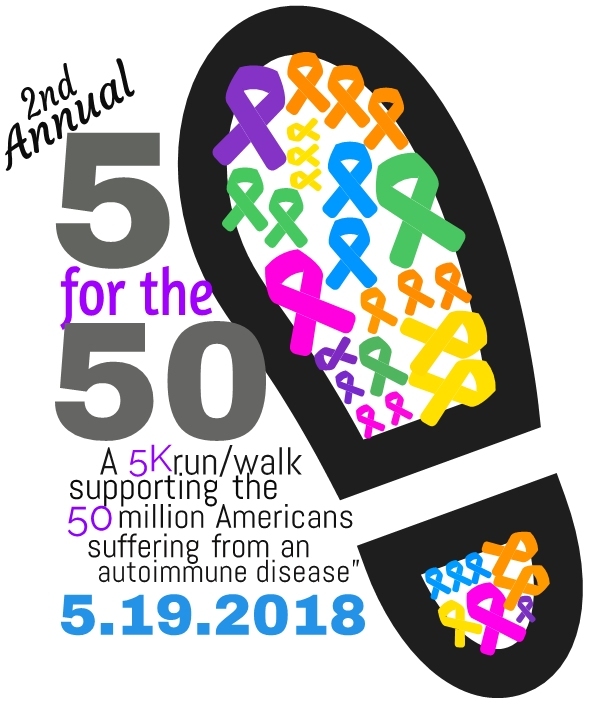 The other 80% will go to AARDA to help fund research for all autoimmune diseases! Funding national research is the best way to ensure a future cure, find better medications, and improve the quality of life for those suffering from an autoimmune disease. In the event of inclement weather, emergency or a natural disaster, 5 for the 50 reserves the right to cancel or postpone the race. In the event of cancellation or postponement, there will be no refunds. - Awards for top overall male & female as well as a top 3 males & top 3 females in 15 different age group categories!